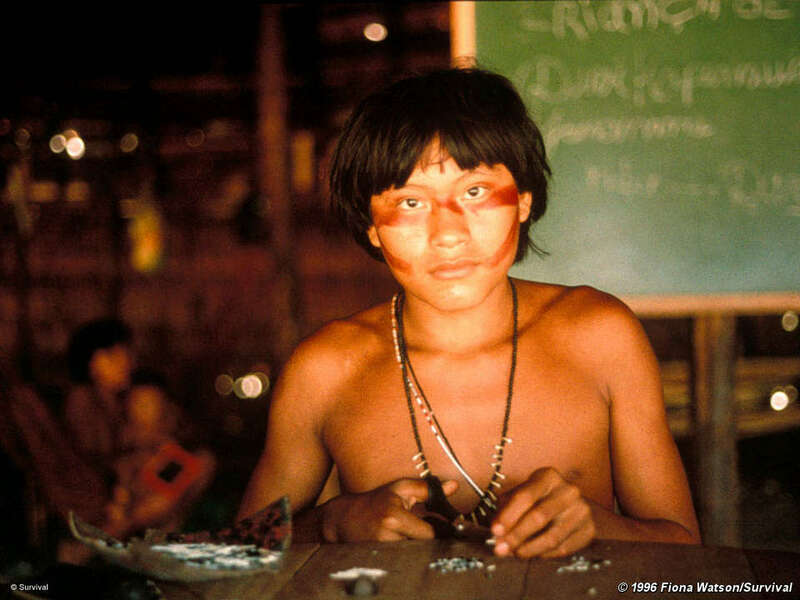 14-year-old Haraldo Yanomami making a necklace from porcupine quills, Demini, Brazil. 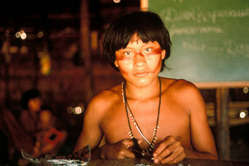 The Yanomami are one of the most numerous, and best-known, forest-dwelling tribes in South America. Their home is in the Amazon rainforest, among the hills that line the border between Brazil and Venezuela. The Yanomami territory was officially created in 1992 after a long international campaign by Davi Yanomami, Survival International and the Pro Yanomami Commission in Brazil. It is the largest forested indigenous territory in the world. But illegal gold miners are invading the Yanomami’s land, destroying the forest, polluting the rivers, causing serious health problems and threatening to wipe out the uncontacted Yanomami, one of the most vulnerable peoples on the planet. And Brazil’s Congress is currently debating a bill which, if approved, will permit large scale mining in indigenous territories. This would prove catastrophic for the Yanomami and the land they depend on for their survival. Please write to the Brazilian government.